Okay, so just because I don’t drink doesn’t mean I never consume alcohol – and the following cake recipe DEFINITELY has some alcohol in it! 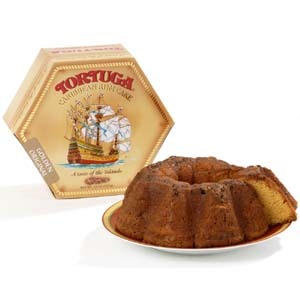 Ladies and gentlemen, if you’ve never had the pleasure, let me introduce you to Tortuga Rum Cake! Oh my goodness! What a delightful treat! We brought back a bottle of Tortuga Rum from the Cayman Islands, and I, as I mentioned, don’t drink. Yet I have this bottle of rum… Hmmmmmm… I decided I had to try and make one of the famous Tortuga Rum Cakes the island is famous for. Am I ever glad I did! The actual recipe is a family secret, but as with almost any secret, a few keywords into Google, and a reasonable facsimile appeared! As I said the recipes were virtually all the same (I must be drunk… I’m repeating myself!) and all calling for Whaler’s Vanille Rum — Hawaiian-style rum. HA! I mock them! I have the real McCoy! Off to the kitchen I head, recipe in hand! The cake itself was fairly basic and easy to make. 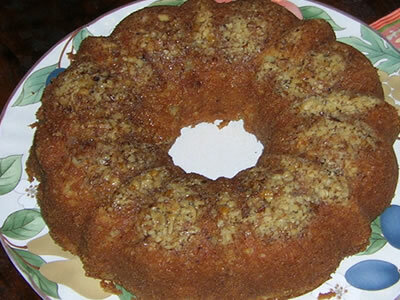 It’s the rum syrup poured over the top while the cake is still hot that sets it apart from all others! far apart….. The cake fell a bit in the oven – I have no idea if it’s actually supposed to, or not – but the perfect indentation in the cake made for the perfect reservoir when pouring on the rum syrup. It just seeped right in amd made for a really yummy center! I must admit I was also worried about taking it out of the pan. Bundt pans and I don’t always see eye-to-eye. 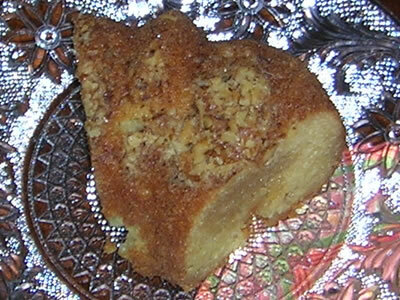 But only the tiniest crumb broke off, and it was a snap to place it back – and the gooey syrup glued it right in place! 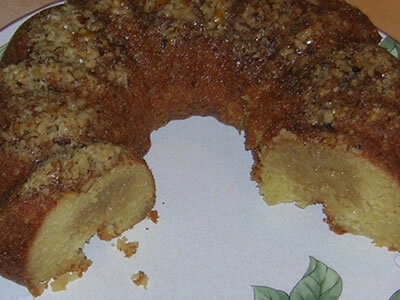 The cake is rich, moist, butter-and-rum heaven on a plate! This one, I shall make again! Tortuga Rum isn’t available to the public for sale. || Except in the Cayman Island’s that is… || It is only made for use in the production of the cakes in the Caribbean Islands. A substitution of Whaler’s Vanille Rum is a close runner-up. For the Cake: Preheat oven to 325 degrees. Spray a large (12 cup size) bundt pan with non-stick cooking spray. Sprinkle the chopped nuts into the bottom. Place Basic Cake Mix, pudding mix, milk, eggs, rum, oil and vanilla in a large bowl and combine on medium speed with an electric mixer for about 2 or 3 minutes. Scrape down the bowl halfway through. Batter should be very smooth. Pour into prepared bundt pan and level out top. Bake until fully golden and tester comes out clean and cake springs back — about 55 minutes. Remove from oven and place on cooling rack while making soaking glaze. Rum Soaking Glaze: In a small saucepan combine butter, water and sugar. Bring to a boil carefully as mixture boils over very easily. Reduce to a simmer and cook until sugar is dissolved and syrup is combine well and a little thicker. Remove from heat and add the rum and mix to combine. While cake is still cooling, pour hot syrup into and on top of cake. There is a lot of syrup and if cake doesn’t soak it up right away just wait a couple minutes and add the rest. It will take time to soak it up. Cool cake completely in bundt pan before turning out onto serving platter. This cake is delicate, so once it is turned out, it cannot be moved around easily. Can be eaten when fully cool, but better the next day. I have a hankering for something else. Awww this cake is gorgeous. Absolutely love it. Find the prices a lil steep bt worth it I guess. Should definately sell this cake world wide!!!! Sorry, but you can find 2 types of Tortuga rum in any good liquor store. The rum they use for their cakes is the "secret" recipe that is made and aged in an oak barrel that is not available to the public. I just made my first one exactly this recipe with the Whaler’s Vanille Rum and it was awesome!! I might try the Tortuga Golden Rum when I run out of Whaler’s Vanille.